Not only is sharing messages a lot easier with video, video allows you to engage with your employees, clients and candidates on a whole new level and increases the chance of your email being opened by up to 5X! Here's our top six suggestions for creative and effective videos this silly season! Are your clients and business partners ready and resourced for the Festive Season? Why not share your list of available and pre-qualified contractors, you could even introduce them on video! Check out this great example 🎦 from the team at Randstad NZ. Get the whole team involved, spice things up with a musical cameo from one of your employees - you'll be surprised what talents your team are hiding from you! A video 'card' has added environmental brownie points! Do you need to recruit casual or temp roles for high volume customer service, retail and hospitality roles over December and January? Avoid last minute frenzied emails and prepare generic video jobs ads for your most common roles, create targeted email and social campaigns to refresh your seasonal talent pool with the latest available talent. Creating video invitations is a great way to get your invitees excited about your events: get your guests drooling with your best foodie snaps, ensure anticipation is high with a sneak peak of the entertainment and avoid embarrassing moments with interactive directions, dress code expectations and timely reminders about, ahem, decorum. Whether it's to inspire envy, manage response expectations or help people find the right person to contact while you're lapping up the sunsets on Easter Island, video is a great way to personalise your out of office and brighten the day of those poor chumps that forgot to book in their annual leave. 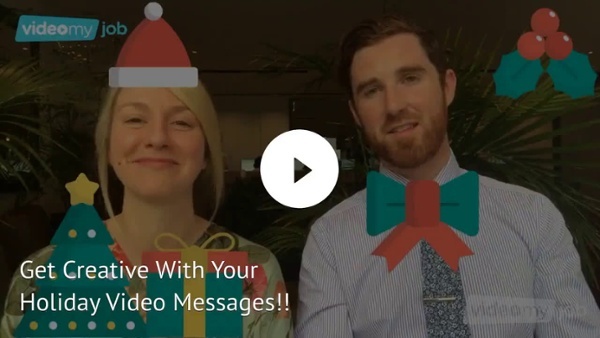 Work with your executives or team to create a unique thank you messages for your colleagues or clients - include the year's highlights, footage from events, plans for 2019 or reminders about office closures and holiday processes. If you're feeling confident and creative, you should definitely enter one of your videos in our #vacay2018 competition, read on to find out how! 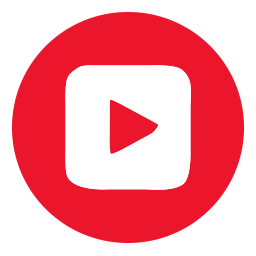 This festive season we're looking for the most creative, entertaining and festive holiday-themed videos from our video community. To help you get in the mood, we'll soon be adding some 'limited-time only' festive graphics to the app. Keep an eye on the socials and your inbox, submissions open on December 3 and the winner will be announced on Friday December 21, the winner get's a brand new iPhone 📱for Christmas!